A firm contender for the single most bonkers movie of the mid-90s, Mars Attacks is now available as a feature-packed online slot. Engineered by the folks at Blueprint Gaming, Mars Attacks is an all-singing, all-dancing affair with a whopping 3,125 ways to win. Not to mention, an endless cavalcade of bonus features, modifiers, free spins and that elusive Big Money Boost worth up to 1,000x your bet! 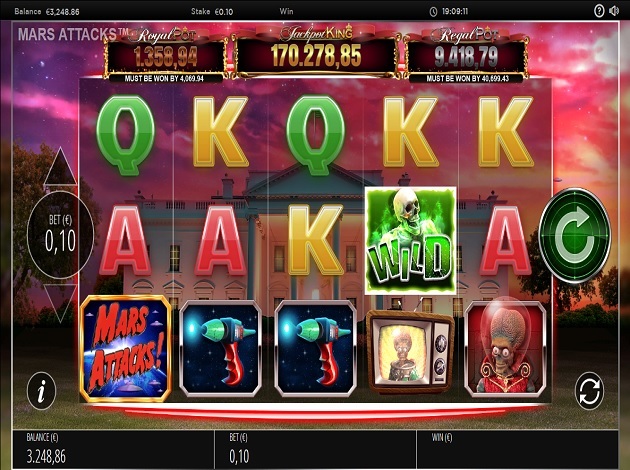 The Mars Attacks base game uses the usual five-reel, 20-payline layout, with spins available from a minimum bet of € 0.1 up to a maximum bet of € 500. It’s a medium-variance slot, so it should appeal to the vast majority of casual gamers and more serious spinners alike. All the mayhem and hilarity of the cult movie are perfectly ported to desktop and mobile devices alike, along with darkly comical Martians, ray guns, eyeballs and so on. Radiation Blaster feature – this feature sees a bunch of additional wilds added to the reels in random places. Mega Shrink Ray feature – the entire play area shrinks and allows each reel to display five symbols. 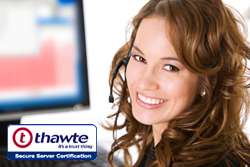 This transforms the usual 20 paylines into the maximum 3,125 ways to win. Abduction Beam feature – symbols from each of the five reels are abducted from above and replaced with new symbols, increasing the likelihood of a winning combination. Expansion Cannon feature – a series of mystery symbols make their way onto the reels and transform into new symbols to form winning combinations. Sub-Zero Lazer feature – after hitting a winning combination, the winning symbols are frozen in place for one or more respins. Spy Hunter feature – take your pick from a board of suspects to uncover humans and Martians. Every Martian will increase your cash multiplier, while the feature ends after discovering three humans. There’s also a Big Money Boost bonus available if you locate the Martian ambassador. We Come in Peace feature – make your selection to fill the banks to either side of the screen, which when full will pay the specified value along with a multiplier, Big Money prize or Upgrade Arrow. The Martian Orb brings the feature to an end. D.N.A. Analysis feature – try your luck with five free spins on a new set of reels, enhanced by expanding wilds. Each of these wilds expands in height one position after every free spin to increase the potential for winning a prize. Martian Takeover feature – this feature awards 10 free spins with the added bonus of roaming wilds, which appear in random positions and cover the reel in its entirety. Final Stand feature – potentially unlimited free spins are available with this feature, with the potential to take home a prize worth a whopping 1,000 x your bet. As part of the Jackpot King network, there are three progressive jackpots to play for. To access the progressives, you’ll need to land a series of Jackpot King Deluxe symbols, after which you’ll collect crown symbols as you climb your way towards the Wheel King section. Outside this, the biggest prize payouts can be accessed in the five main bonus features of Mars Attacks. During normal play, the skeleton wild and the Mars Attacks logo are the two most valuable symbols – both paying up to 500 coins for five in a row. Next comes the Martian ambassador and ray gun, which are worth 300 coins for a five-strong combination. The television and eyeball symbols are worth up to 200 coins, while the playing card symbols pay a maximum of 100 coins for a winning combination. Blueprint Gaming has done a fantastic job putting the immense silliness and light-heartedness of Mars Attacks to the online slots sphere. The visuals are bright and colourful, the animations first-rate and the soundtrack simply superb. If you were a fan of the movie, you’ll be instantly transported back to the nineties in a haze of glorious nostalgia! From top to bottom, Mars Attacks is one of the most impressive movie ports of its kind currently on the market. Far from gimmicky, Blueprint Gaming has created a top-tier slot with an impressive array of special features and enjoyable gameplay from the first spin. Volatility is average, so it’s a well-balanced slot to appeal to the masses. Even if you’ve never come across the cult movie before, Mars Attacks holds the kind of appeal that goes far beyond the average slot. This is a company that’s been around for a long time, having extensive experience in both land-based slot machines and online slots as well. Blueprint Gaming was acquired by Gauselmann group in 2008, a large gambling conglomerate in Germany, propelling them to further success. Now part of the Gauselmann group, they develop their own unique games as well as exciting licensed games. The goal at Blueprint has always been to create exciting slot games for the global online and mobile markets. Today, their products are available to be played on over 100,000 land-based gaming terminals across the entire UK, as well as in Italy and Germany. Their licensed games offer an extra-special experience for players, with games like Casper and Worms, inspired by the ghost film and the famous computer game of the same names. Ted is another licensed slot, based on the popular comedy film of the name. One of their latest and already hugely popular licensed slots is Spinal Tap, a slot jam-packed with interactive features and animations, based on the mockumentary from the 1980’s. Blueprint gaming already has a strong portfolio and many of their games are now available to play on mobile devices too. As their portfolio keeps growing, we’re can’t wait to see what’s next for Blueprint Gaming. If you’re a fan of action-packed slots with a great sense of humour, you can’t miss checking them out. You can play Ted, Top Cat and Wish Upon A Jackpot and more right here at Videoslots.com. Don’t miss out on the opportunity to play a thrilling Battle with our special, unique and very first social online casino experience – Battle of Slots. Videoslots gives you the chance to play first time Battles against your friends and other players on Videoslots.com with games from NetEnt, Thunderkick and Play’n GO. There is only one Battle of Slots – and you’ll only find it on Videoslots.com!